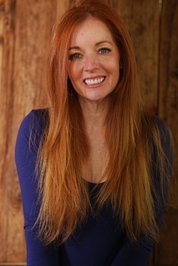 Ellen Urbani is the author of Landfall (2015, Forest Avenue Press), a work of contemporary historical fiction, and the memoir When I Was Elena (2006, The Permanent Press; a BookSense Notable selection). She has a BA from the University of Alabama and an MA from Marylhurst University. Her writing has appeared in The New York Times and numerous anthologies, and has been widely excerpted. She’s reviewed books for The Oregonian, served as a federal disaster/trauma specialist, and lectures nationally on this topic. Her work has been profiled in the Oscar-qualified documentary film Paint Me A Future. A Southern expat, her pets will always be dawgs and her truest allegiance will always reside with the Crimson Tide. To ask Ellen Urbani questions, please sign up. Will you meet with BOOK CLUBS? My goal is to have 60 book clubs pick LANDFALL—at least one in each of the 50 states—before the end of 2016. You don’t necessarily need to read the book in 2016, you just need choose it as an upcoming selection before we flip the calendar page into 2017. •Author participation in your book club when you discuss LANDFALL, either in person (within 20 miles of Portland, Oregon) or via Skype, depending on author availability. •A copy of the never-before-seen PROLOGUE to LANDFALL that is missing from the books available to the mass market! • Invitations to LANDFALL events in your region. •Autographed labels sent to each member of your book club to affix to the title page of LANDFALL. The post HENNA HOUSE BY NOMI EVE appeared first on Ellen Urbani. We’d love your help. Let us know what’s wrong with this preview of Narrow River, Wide Sky by Jenny Forrester.
" Thanks, Becky! No worries! I am really grateful to you for reading it and sharing your thoughts. Heaven knows that with young kids, books to write, an Thanks, Becky! No worries! I am really grateful to you for reading it and sharing your thoughts. Heaven knows that with young kids, books to write, and a farm to run, I can't keep the characters in books straight all the time either! ...more "
" Thank you, Liza, for taking the time to read and review my book. It is much appreciated! " Ellen, I have added your book When I was Elena to my to-read list. Dear Ellen, my thanks for your friendship. Landfall an exceptionally fine novel. You have led an exceptional life. Having read your novel, I'm moving on to your memoir When I Was Elena . From one grad of the University of Alabama to another, Roll Tide. I'm looking forward to your next work.